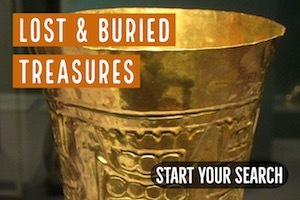 Over the past four centuries, the state of New Mexico had produced quite a significant amount of gold, which included both placer and lode deposits. The Land of Enchantment was first prospected by its earliest inhabitants, the Mexican settlers and Spanish explorers. During these times, gold prospecting was made somewhat difficult by the native Apache tribes who were hostile to outsiders. 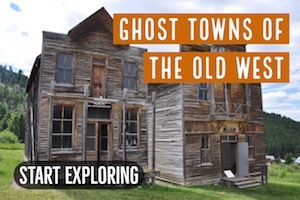 It was in the early 1800’s that the early white explorers came to settle in New Mexico that prospecting for gold became more prevalent and gold production went widespread. 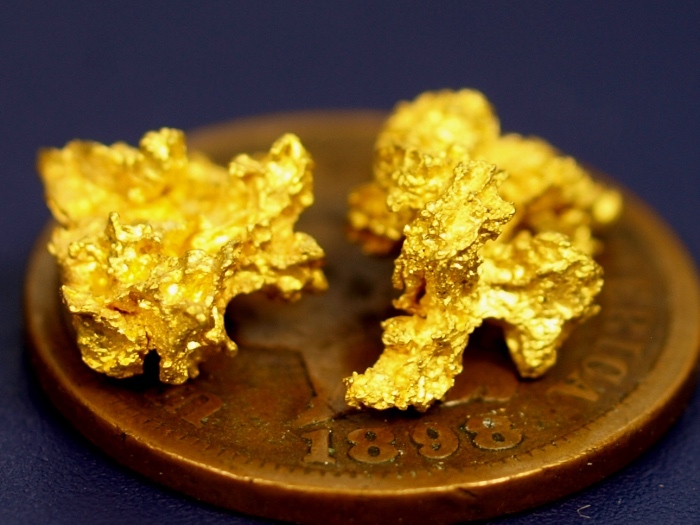 While a certain volume of New Mexico’s gold came about as a byproduct of mining for other ores and minerals, there were certain areas that were regarded as rich and promising grounds for the supply of gold. The supply came in many forms; whether sourced from exposed bench deposits, or buried deposits in a mine, to placer gravel deposits that have been eventually eroded from established lode mines such as, gold-carrying quartz veins of Precambrian schist, or crystalline metamorphic rocks and granites. 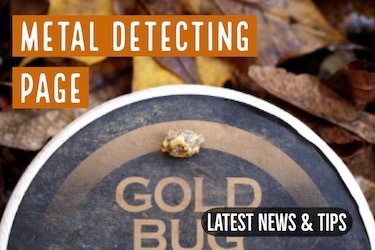 The gold production in the state has resulted in several million ounces of gold, with an untold amount of gold being discovered early on by the first prospectors in the area that went completely undocumented and remains a mystery to this day. 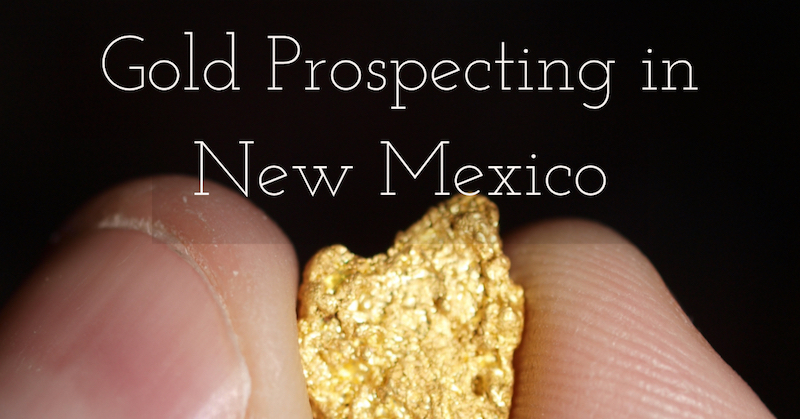 There are many areas throughout New Mexico that will produce gold. This article provides a short summary, but there are many gold bearing areas that are widely distributed throughout the state. The Elizabethtown placer areas, where the greatest part of the gold was recovered at more than 100,000 ounces including many large nuggets, were concentrated along the lower slopes of the western side of Mount Baldy; the Grouse and Humbug Gulches; Pine Gulch; the Spanish Bar facing the mouth of Grouse Gulch; and, the sediments along the Moreno River Valley, specifically located between the gulches of Anniseta and Mills. Many small mines are also located on the northern flanks of Iron Mountain in Anniseta Gulch. Since large nuggets have come from this district, a metal detector might be especially useful for locating hidden gold deposits here. The New Placers mining district was composed of the gold camps of San Pedro, Golden and Tuerto; and the combined area is particularly situated on the strategic flanks of the San Pedro Mountains. Placer gold existed in sub-angular debris and disintegrated materials at the foot of the northern, western and southern sides of the San Pedro Mountains. These placers have been further concentrated in gulches and creeks that cut into the gravel beds of the mountains. The northern flank carried the richest source of gold, which was recovered from the creek gravels along the tributaries of the Arroyo Tuerto, nearby Golden town and in Old Timer Creek. Many patented mining claims exist in the surrounding areas. 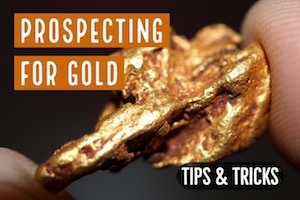 Be sure to check that you are prospecting on open ground. Extensive gold mining has taken place in the Hillsboro lode and placer mining district that has produced significant quantities of gold from cemented and un-cemented gravels. They were primarily dry placers with gold production coming from dry land dredges and dry washing in rich gulches around the area of Las Animas Hills, located in the eastern foothills of the Black Range. Placer gold has occurred on the eastern and southern flanks of Las Animas Hills. On the eastern side, the placers took up a greater concentrated area that was practically bounded by the Dutch Gulch on the north and the Rio Percha on the south. These were the principal placers which were drained by the gulches of Grayback, Dutch, Greenhorn, Hunkidori, Gold Run, and Little Gold Run. The southern flank placers existed further south. Southwest of Black Peak and Empire Peak, there is gold to be found in Wicks Gulch, Ready Pay Gulch, and Snake Gulch. 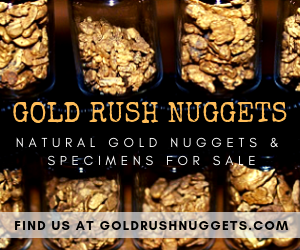 There are countless areas in New Mexico to search for gold, and the harsh climate has certainly limited prospecting to a certain extent. 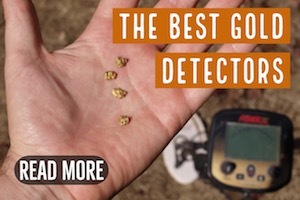 Metal detecting can be very productive in certain areas, but only in places that produce gold nuggets large enough to be detected. Drywashing is probably the most common method used, and is quite productive if done in the proper areas.